Earning quality links is a huge part of organic search engine optimization (SEO) for plumbing contractors. They give your website more authority and increase your Google ranking over time. Early site-ranking structures on Google relied heavily on inbound links to determine what content was the highest quality. As a result, people manipulated the system and developed ways to trick the algorithm. The team at Google has released multiple algorithm updates aimed at cracking down on link schemes and SEO manipulation. In 2019, the best link-building technique is to produce quality content, conduct local keyword research, and use legitimate link building strategies. How Important is Link Building for SEO? When we talk about link building, many people automatically start thinking about the black hat SEO methods of tricking Google. While there are certain link-building schemes that you should avoid, Plumbing Webmasters only utilizes legitimate link-building techniques to help boost your organic SEO. High-quality link-building is essential to increasing your search engine results page (SERP) results. Spam links decrease the equity of your website while links from sites with high levels of authority and quality content increase it. But how do you execute a link-building strategy? The best method of earning quality links is through some of the following elements. Create Quality Content The best method of earning quality links is by producing high-quality, or perfect content. Creating perfect content for plumbers means they are more willing to share it. High-quality web pages and a diverse list of blog posts are more likely to show up in search results. 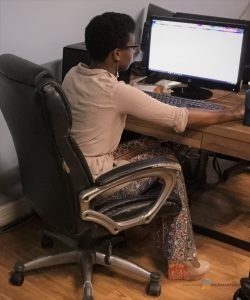 Guest Content If you have the time to write a guest blog for another website in the plumbing industry, this is an excellent tool for building high-quality links. It also increases the value of your website in the plumbing community. Internal Links Well-crafted internal link structures make your website easy to navigate and help add weight to your link-related SEO. Networking Brand your company online. Share all of that quality content on social media platforms so that other authorities in Plumbing have the ability to share it. This helps build your brand and increases your visibility. Each of the methods above is organic in nature. This is a stark contrast to what link-building looked like ten to fifteen years ago. At that time, buying links, or exchanging them with other websites in “link schemes” was quite common, and could jettison a page to the top of results. The problem is that most of these links were unnaturally formed and hindered the user’s experience. Since Google serves its users first and foremost, they understandably cracked down on such behavior. Call Plumbing Webmasters at (877) 388-9884 to learn more about proper link-building practices for your plumbing website today! So why did people do this so often, and why do others continue to do it? Because it worked. Before 2012 using these strategies, while unethical, were undoubtedly effective. They are no longer as effective, and while some websites continue to try to beat the algorithm, the likelihood of them being caught and penalized grows higher with each passing day. 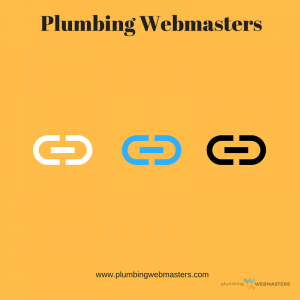 Plumbing Webmasters uses only ethical strategies for your plumbing link-building efforts. 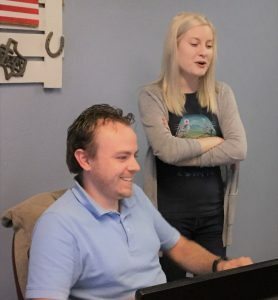 Knowing Google’s philosophy on enhancing the user experience shows us how to develop link profiles for our plumbing websites. User experience is the first priority, so creating link associations that facilitate a user’s navigation to helpful and engaging information is encouraged. Plumbing Webmasters is a company that stays on top of the latest digital trends so that our clients are ahead of the curve. We understand the plumbing industry and the market it caters to because of our years of experience marketing on behalf of contractors. We are eager to help you get started today. Lots of options digital marketing options exist for plumbing companies. The difference in our company is that we focus specifically on your industry. Our years of experience and data accumulation gives us an advantage over general marketing firms that serve a wide array of industries. We make data-driven decisions that have a track record of success rather than going with “gut feelings” or padding empty metrics like “traffic.” Call Plumbing Webmasters at (877) 388-9884 to learn how high-quality link-building can dramatically boost your SERP ranking. Updated on April 9, 2019 at 6:44 pm by Plumbing Webmasters.